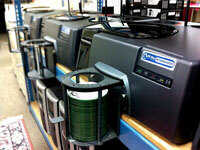 DVD / CD Duplicator & CD Printer sales - Why Techware is your best choice? CD and DVD printing and duplication is our #1 specialty here at Techware. It is not just a project to us, it is our passion. Our goal is to establish a lasting relationship with our customers. 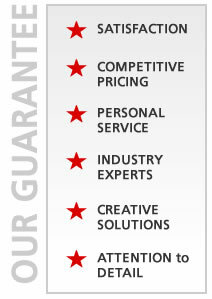 We want to find the best disc production system or solution for each individual customer's needs. We have been using the equipment we sell for over 20 years and have learned first hand what works and what doesn't. So wether you have a large project with thousands of discs, or a smaller one but want the same level of quality, we have the right solution for you. Get true, unbiased advice here. We only recommend duplicators and printers that we use or have thoroughly tested in our in-house disc production and repair facility. Simply put, if it is not good enough for us, it is not good enough for you and your company. A lot of manufacturers and dealers represent that they have the lowest cost per print printers and duplicators. Of course, this is rarely true. In fact, new print technologies are constantly being introduced so it is a moving target. We stay on top of this for you so if your disc volume demands a truly low cost per print or cost per disc, we will help you make an educated decision. Which means, we will recommend the best solution overall, not the best solution that we make. That is a huge difference as there are dozens of equipment manufacturers out there that have phone sales reps trained to steer you into one of their own products and close the deal. We want to make sure you get the right system, regardless of who the manufacturer is, so that you are completely satisfied and will keep coming back to Techware for all of your disc publishing needs for years to come. Because we use this equipment to print and copy tens of thousands of CDs and DVDs per month, we are experts at repairing, cleaning, adjusting and rebuilding these systems. We have access to all the spare parts and the know-how to keep your equipment purchase from Techware up and running many years past the manufacturer warranty period. Our close proximity to leading manufacturers like Rimage, Microboards and Primera makes us the obvious choice for quality, fast and inexpensive repair services. The duplicators we sell are perfect for all your in-house, short-run disc needs. But should you run into a project that is too large, needs custom packaging, or exceeds what you can do yourself in any way, it’s reassuring to know that the replication and packaging experts at Techware will back you up with lightning fast production turnaround at a sizable discounted price. What fun is a car with no gas, a boat with no propeller? Every duplicator or printer comes standard with the supplies necessary to start producing discs. From Ink cartridges & thermal ribbons to amaray cases, sleeves, clam shells, trimpacks and jewel cases to blank media, we stock everything that you need to complete your job. Techware is a beta test site for a many major manufacturers. Because of our expertise we are often chosen to use and critique future product releases. One more reason why Techware is the best choice for your equipment and production service needs. 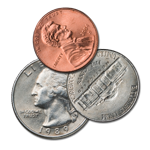 We can show you how to maximize the cost per print with your particular printer, advise you which disc media works well with your system and is cost effective and help maximize your equipment up time. 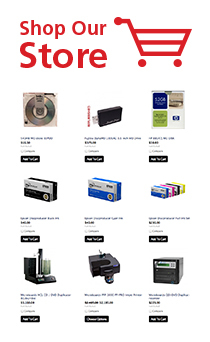 Buy your supplies from Techware and get free lifetime phone technical support as well as deep discounts on our printer and CD duplicator repair services! Call 1-800-295-0083 if you need technical support.